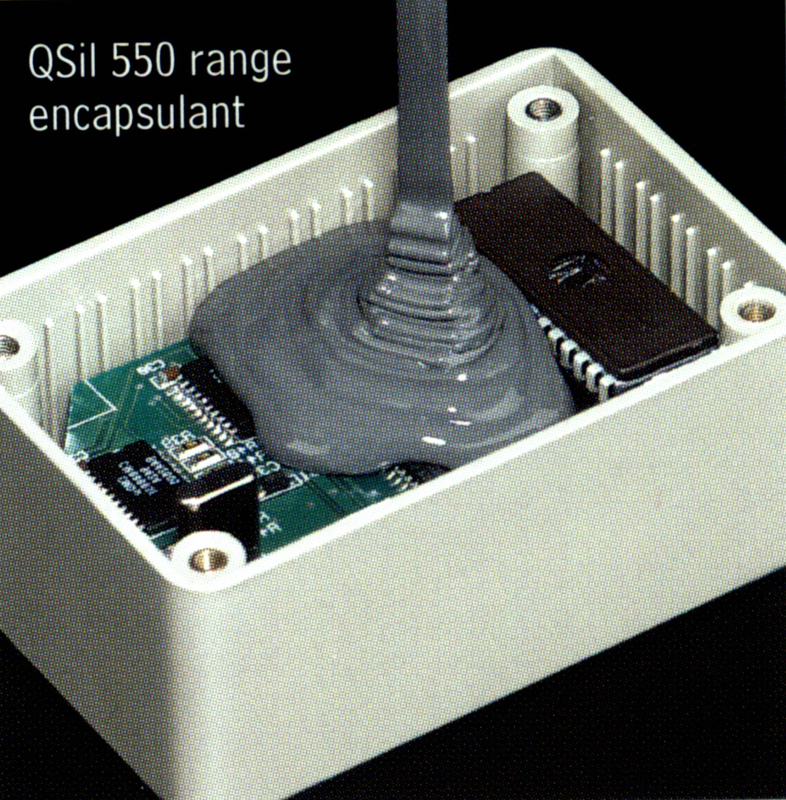 QSil 553 is 2-component, addition-cure, silicone elastomer system. It has been specially designed for electronic assembly potting applications. The fully cured elastomer offers good protection against shock, vibration and environmental contamination. Meets UL94 V-0, higher thermal conductivity, softer rubber. Q-Gel 310 is one of a family of soft, adherent, clear silicone elastomeric gels designed for the encapsulation and protection of electronics components. It is a low viscosity, 2-component system that is readily mixed in a 1:1 ratio. Q-Gel 310 is the softest gel in this group of products. Two Part RTV 2005 is a readily pourable, white, two component silicone elastomer which cures on addition of the catalyst to a resilient rubber. Based on test pieces cured at 25 ° C for 24 hours using 0.5% Curing Agent A.